Hello and welcome! Love is in the air! 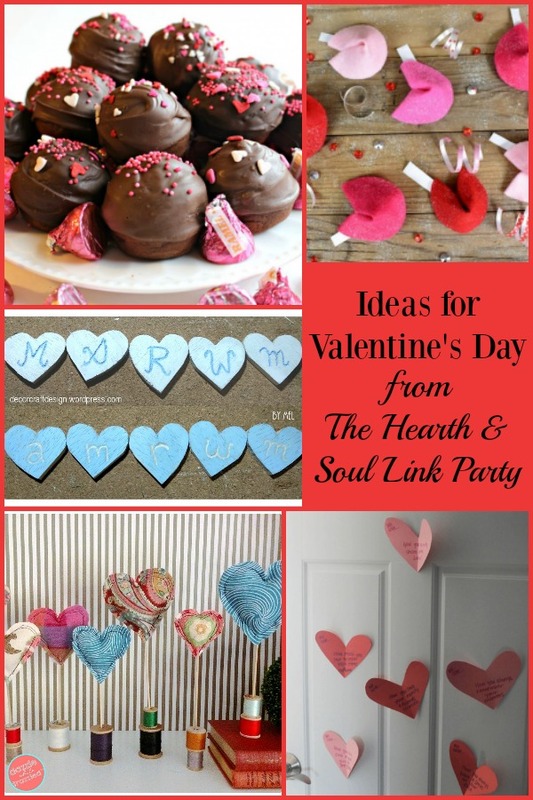 I’m thinking about ideas for Valentines Day, which is definitely reflected in my featured posts for this week. 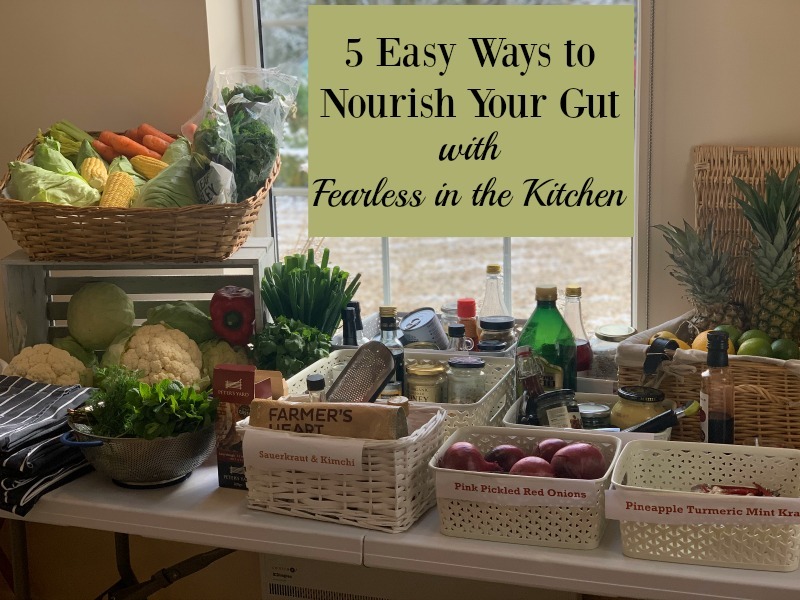 Recently I was gifted with a Nourish Your Gut Course at Fearless in the Kitchen, a Berkshire Cooking School. Not only did I learn a lot about gut health, I learned how to make more delicious healthy recipes, and I had fun too! Find out more about my experience and learn 5 Easy Ways to Nourish Your Gut to improve health and wellness. Plus, with Chinese New Year fast approaching, I decided to collect some of my favourite Chinese food inspired recipes in one easy to use resource. 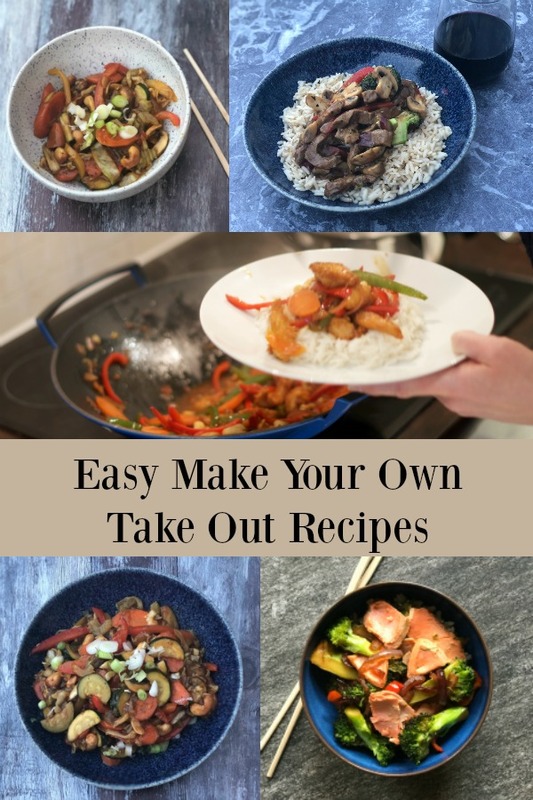 Don’t miss these Easy Make Your Own Take Out Recipes, perfect for busy weeknights or cosy weekend suppers. 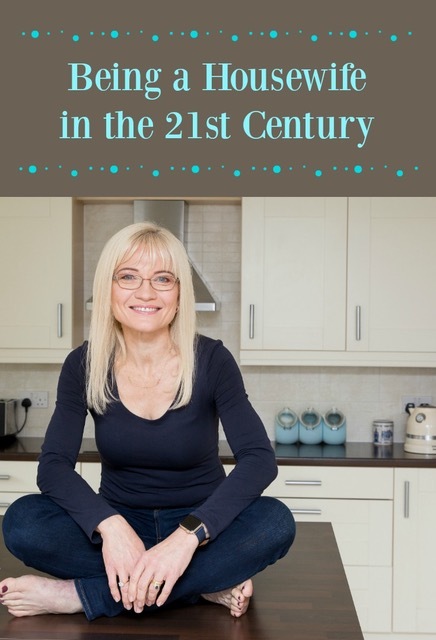 And if you are craving a little treat, have I got a recipe for you! Nigella’s Caramel Croissant Pudding is an irresistible treat! Golden, crusty baked edges of croissants are surrounded by a meltingly tender and yielding custard, making resistance almost impossible. Thank you for sharing your blog posts, and for making Hearth and Soul such a friendly community! On with the party! Please note, inLinkz has changed, so the Linky might look a bit different than before. I’ve tested it and it worked for me, but please do let me know if you have any issues. Thank you April for another fabulous party! Have a great week! Thank you so much for visiting and sharing, Nancy! I hope you have a great week too! Thank you for hosting another great hop, April! Thank you for your support of Hearth and Soul, Kathi! Have a lovely week! I’ve been recovering from foot surgery and have not been online much lately Glad to be recovering and able to join in on the party this week! Hi Pat, I have heard foot surgery can be very painful! I’m so glad you are recovering. It’s lovely to ‘see’ you at the party this week! Hi April, I have shared Romantic Valentine Tables this week! Had a bit of trouble with the Linky, must be the new version. Thank you for sharing, Karren! I’m sorry you had trouble with the Linky. I resisted upgrading to the new version, but when I tried to use the old one this week inLinkz told me it was no longer supported and I couldn’t. I’m not sure how I feel about the new version! Hope you have a lovely week. Thanks for featuring my Fabric Heart Decorations! It’s a pleasure, Victoria! Have a great week! Thank you so much, Marilyn. I hope your week is relaxing and enjoyable too! Thank you for your support of Hearth and Soul, Judee! And I’m so pleased you like the recipes. I think most could definitely be made gluten free. Have a lovely week! I am struggling linking up this week April! Must be me because I am seeing lots of other greats posts! I’m sorry you are having trouble, Helen. Please do drop me an email at april@apriljharris.com if you think I might be able to help. The Linky does look different, but when I used it, I got there eventually. Please let me know if I can help. Thank you so much for featuring my DIY Valentine Felt Fortune Cookies! You really made my day brighter! I am new to your linky party and I’m loving all the great ideas. Thank you for hosting. I’m so glad you are pleased, Tiffany! I hope you have a lovely week. Hugs! Thank you so much for featuring my engraving heart initials! So thrilled and grateful! Thanks for hosting too, April and have a blast week ahead! Bread pudding is one of my very favorite desserts! 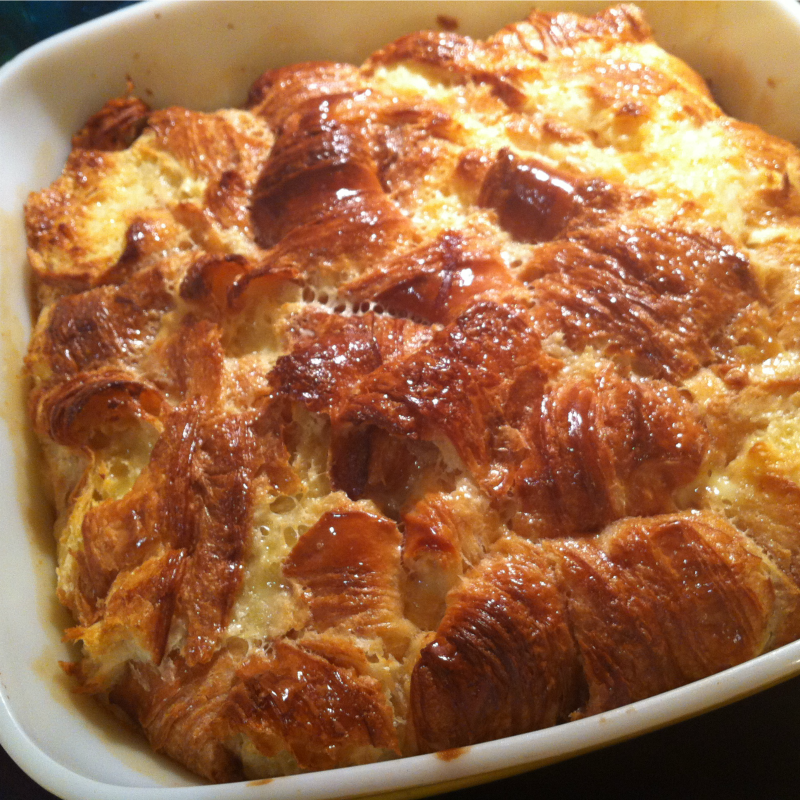 Your croissant bread pudding has already been pinned and sent to the top of my must make list! I try to only make indulgent treats for special occasions…maybe Valentines Day! Thank you for featuring my Kiss Cookies! Have a lovely week! Thank you so much, Wendy! And it’s my pleasure 🙂 I hope your week is lovely too. Thank you so much for visiting and sharing, Mareliz! I always enjoy learning more about recipes from other countries, and making them too!